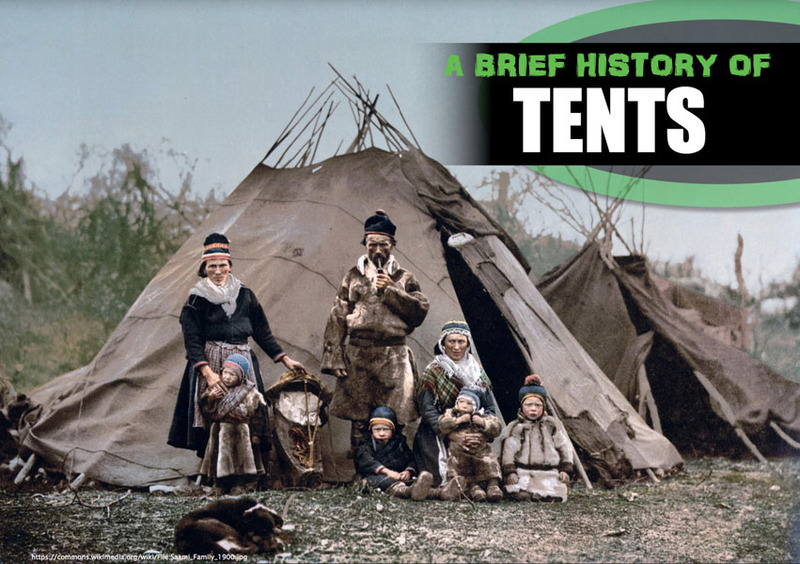 The history of tents. 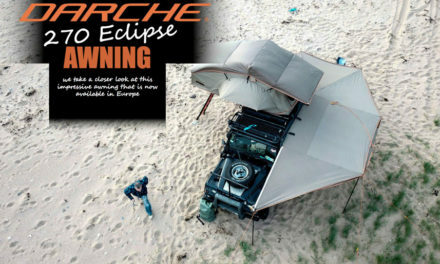 Who invented the tent? 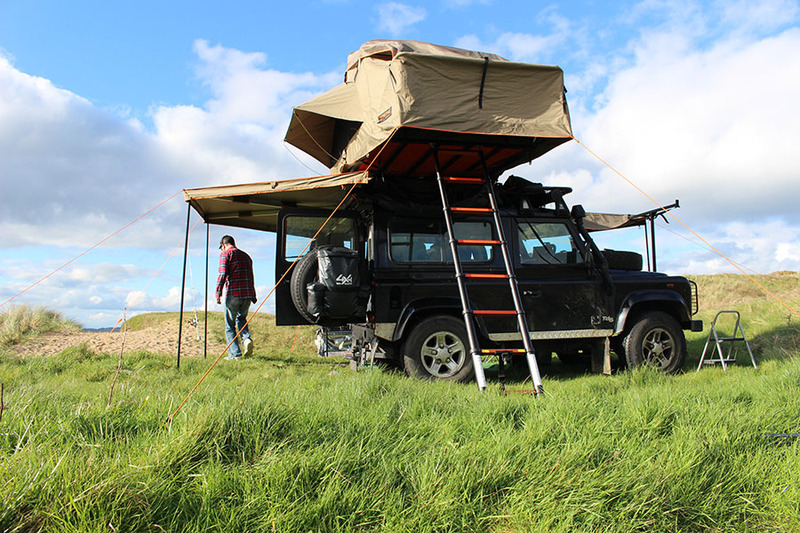 Today tents are an essential piece of equipment for any sort of light weight continual travel, whether it be hiking, camping or overlanding. 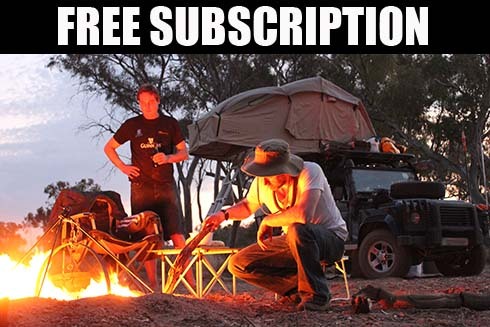 Across the globe tents are used to shelter armies, to protect recreational campers, to keep mountaineers warm and generally to aid comfort and survival. 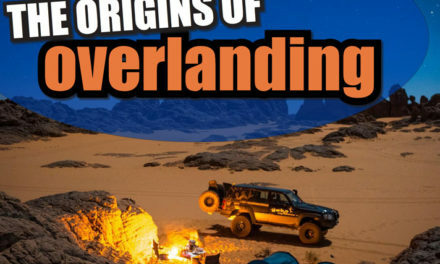 Over time, the idea of a tent has become synonymous with the idea of ‘the outdoors’ and with ‘nature’, however the first tents served as homes to the people that erected them, and the lightweight and component based structure of tents suited the nomadic lifestyle of early humans. Reconstruction of an Iron Age Tent. 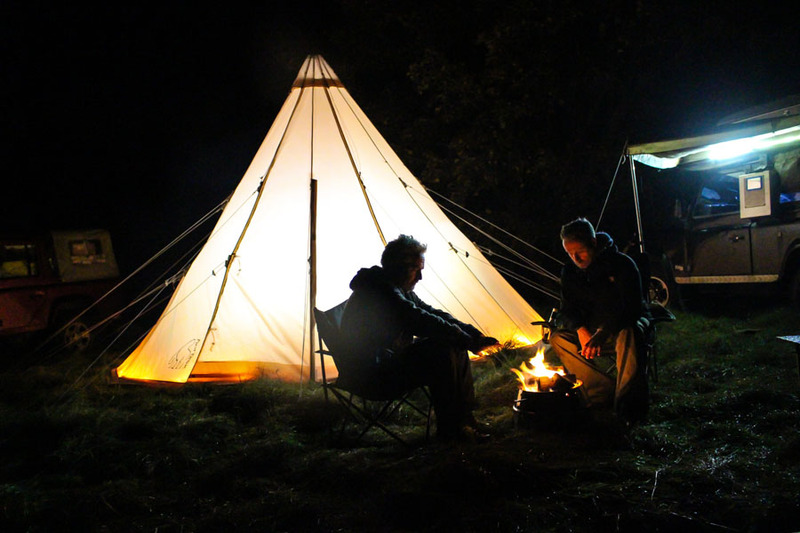 Tents are a continuation and an evolution of earlier structures that were originally built using animal hide, animal bones and tree branches. Bones from massive Woolly Mammoths were used as support materials to build shelters, by both Neanderthals and early humans during the ice age. 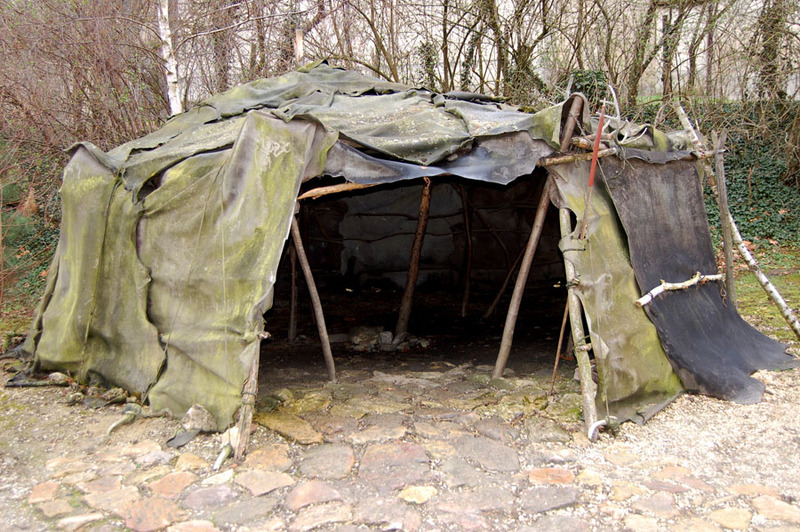 The oldest known example of this type of shelter was found in Moldova and dates to around 40,000 BC. More than seventy examples of these shelters have been discovered, mainly on the Russian Plane. These huts were all circular and ranged in size from between 8 to 24 square metres. Some of these dwellings were located in proximity to each other, and where this was the case were spaced from 1 meter to 20 meters apart, depending on the terrain. 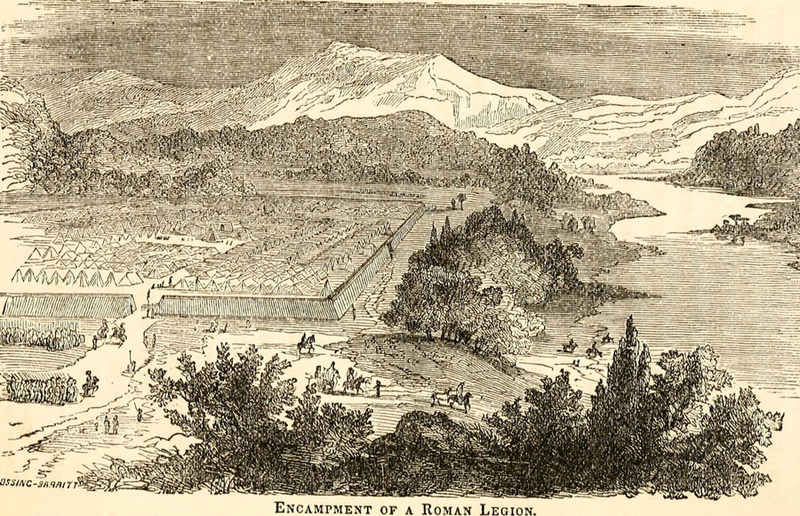 Reconstruction of a leather Roman Army Tent. 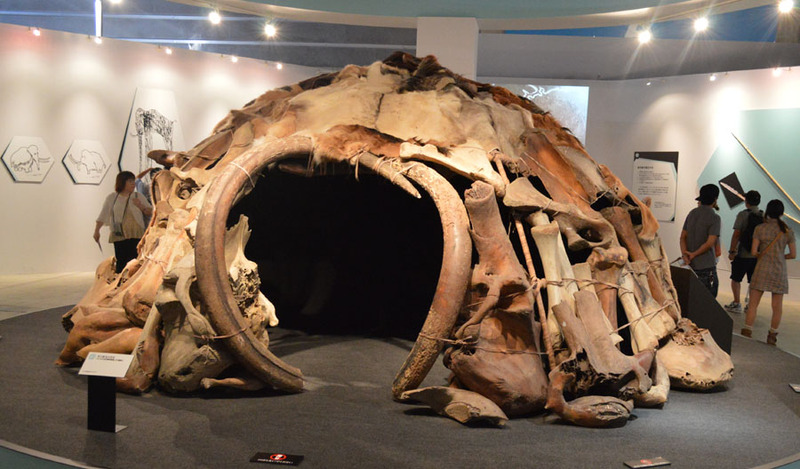 Large Mammoth bones were used to support and serve as foundation and the curved tusks were used to support an entrance gap, both bones and tusks were likely used to support the animal hide roofs. There is evidence that some of these huts had a space to light a fire, and that bones were used as food (in a time when wood was very scarce). Archaeologists belive that though some of these bones may have come from animals killed by humans or neanderthals but bones in some of the shelters had differences in age of several thousand years, suggesting that the building materials were rather the collected remains of animals that had died many hundreds of years previously. These bones were not only used to make shelter but also served as a material from which tools , decoration, furniture and even musical instruments were hewn. Tipi’s have been used by nomadic tribes for millennia. 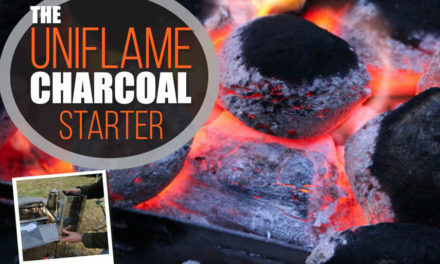 All early tents were made from animal hide or leather, using wooden supports, ropes and wooden stakes support, and this basic design and construction method did not significantly change for 40 or 50 thousand years. 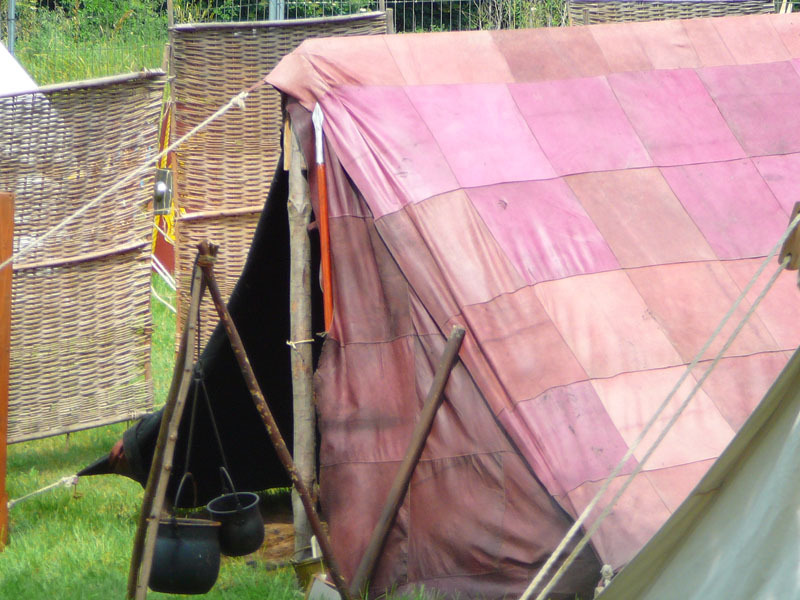 The tents used by the Roman Army were also normally made of leather, and enough is known about the designs that some good examples of this type of tent have been built in modern times, most frequently by modern re-enactors. A wide variety of tent styles and sizes were used by the Roman Army from the ‘Contubernium’ an 8 man group tent , a 3M square tent which was about 1.5M tall and slept 8 soldiers. Each contubernium was usually assigned a pack mule to carry the tent and other heavy gear, at least from the time of Marius on. A servant led the mule on the march and provided other services to the Contubernium. The mule carried the two tent poles, a folded tent, stakes, ropes, two baskets that were also be used in excavating the camp ditch, the digging tools, a small stone wheat grinder, and extra food. A Centurion had a larger tent , and had it to himself, since as officers, Centurions also had meetings in their tent the higher walls and additoinal poles ( two center poles and 4 corner poles) gave more head room and internal space. 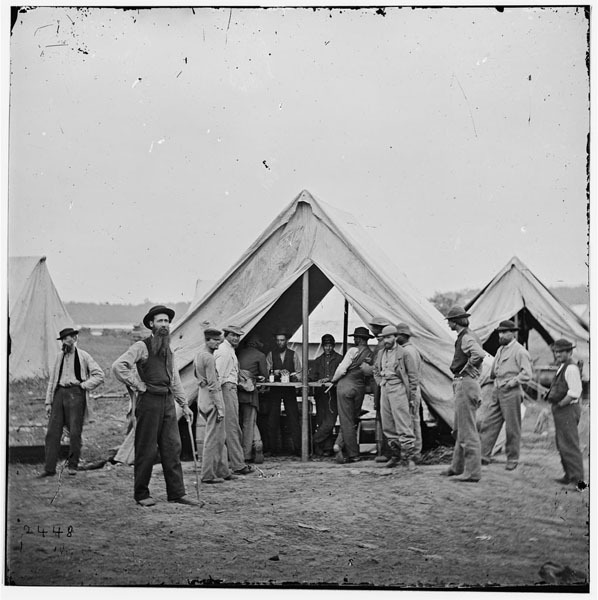 The general and, perhaps, other senior officers had much larger tents. 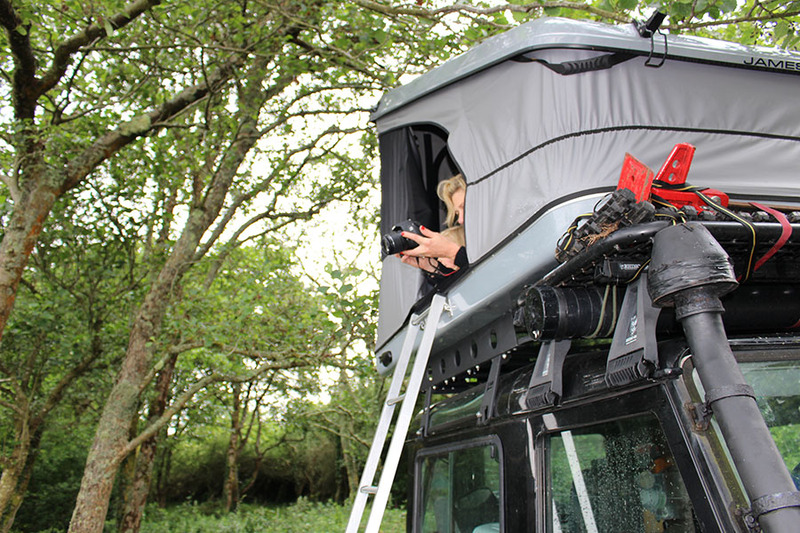 Across the globe nomadic people have continually developed different design of tent structures. 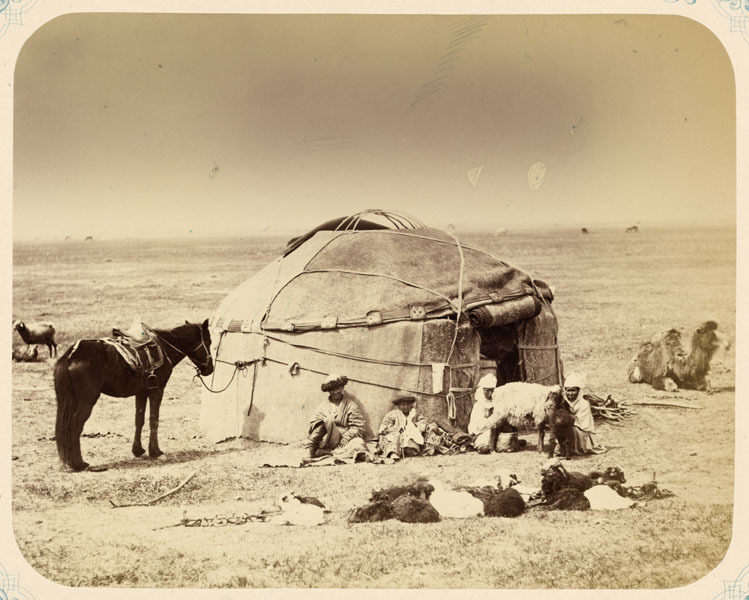 These nomads, such as Native Americans, Mongolian tribes, and Bedouin people have used and continue to use tents as homes when following their livestock. A tipi, tepee or teepee is another kind of tent historically used by nomadic people. These cone shaped tents are different from other cone shaped tents in that they all have a smoke flap at the top to allow fires to be burnt within the tent. 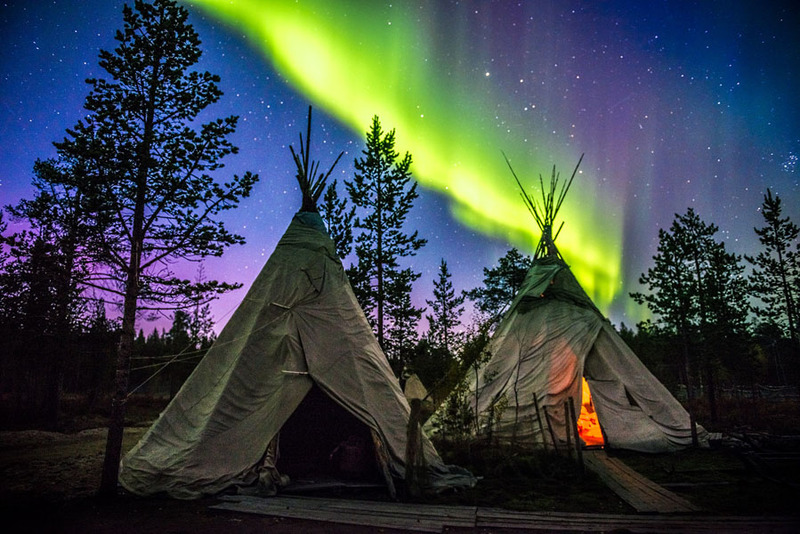 Tipi’s were used by Native Americans and by indigenous people in Northern Europe and Asia. 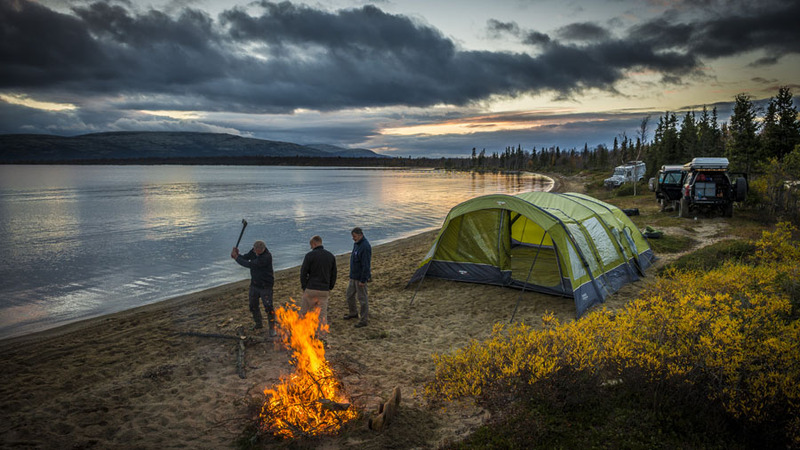 Tepees are still in use today by some of these indigenous people , mainly for ceremonial purposes, and there are a number of companies that now manufacture modern Tepees from high tech materials, such as the wide range of tents from Danish Company Nordisk. Another type of traditional nomadic shelter is the yurt. A yurt is a portable, circular tent traditionally covered with skins or felt and was and still is used as a dwelling by nomadic people in the steppes of Central Asia. Yurts are made with wood and bamboo supports and rafters and have a large, roof sometimes self supporting and sometimes supported with a central interior post (or several). 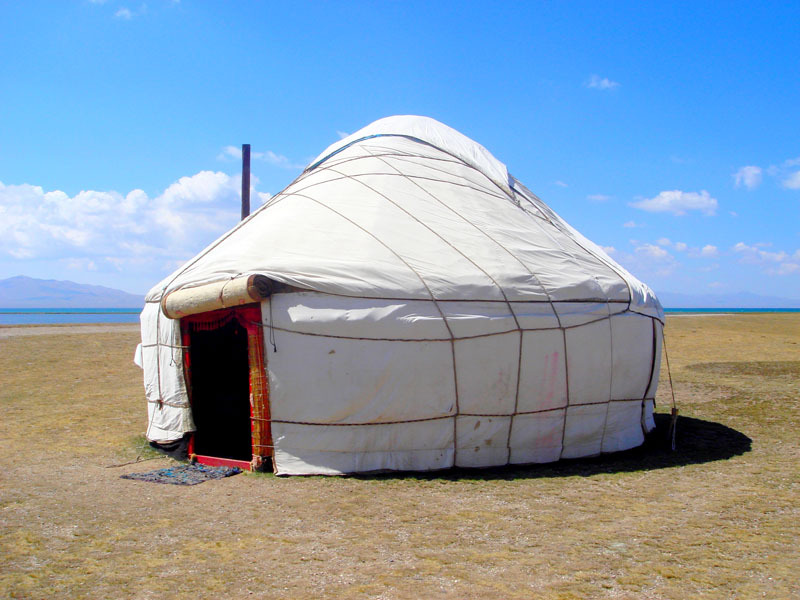 Yurts have been used as dwellings in Asia for over 3,000 years. Yurts are designed to be relatively easy to dismantle and to pack away into a package that could be carried on the back of a camel or yak. In more recent times, manufacturers like the Eureka tent company began to produce recreational tents that helped lend to the growth of the camping and outdoor industry at the start of the 20th Century, and helped to make camping a very popular and widespread recreational activity in America at the start of the 20th century. 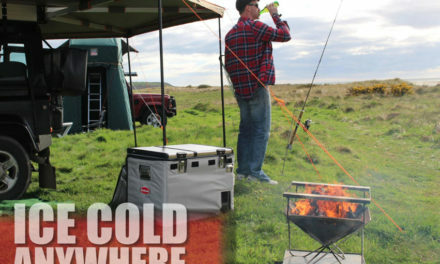 Tent design and materials were radically updated during the 20th century. 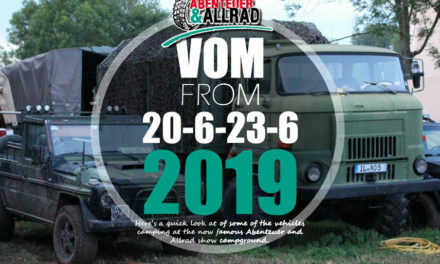 The heavy wooden support poles were replaced with metal and then plastic poles,flexible poles became more common and the shape of tents began to change and rigid linear tents with lots of guy ropes became less common. 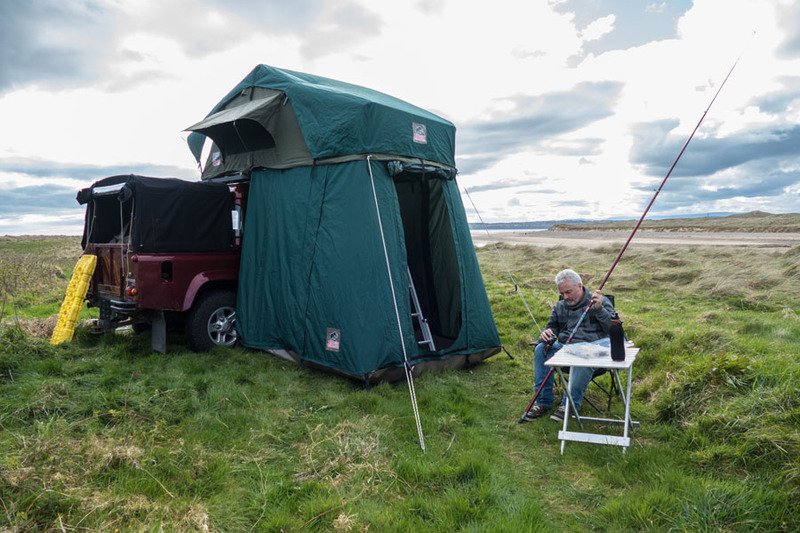 Today’s tents can often be setup extremely quickly and made from lightweight material such as nylon are both easy to carry and very resistant to the elements. 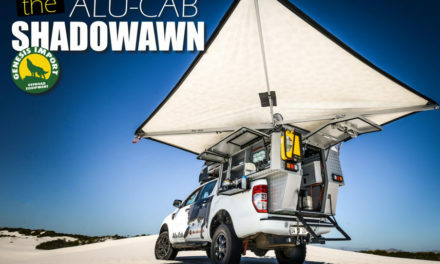 Today the range of shapes and material of tents is enormous, we have tunnel tents, inflatable tents, Pop up tents , Geodesic tents, Roof Top Tents, trailer tents and more. Yet, no matter how much tents may have improved over millennia, one thing is still true, tents fill that very important requirement to keep us warm and dry when out in nature , and perhaps also allows us to feel a continuity with our ancestors who spent their lives roaming the plains and sleeping out under their own shelters across history.